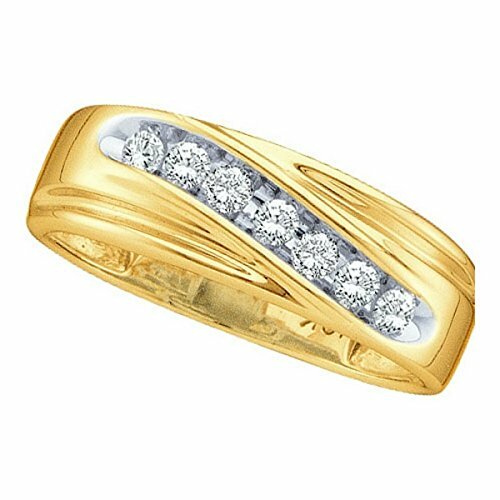 10k Yellow Gold Round Channel-set Diamond Mens Curved 2-tone Wedding Band 1/4 Cttw. â€ Combined diamond weight of 1/4 carats total weight represents a range of 0.23 - 0.29 cts. t.w.